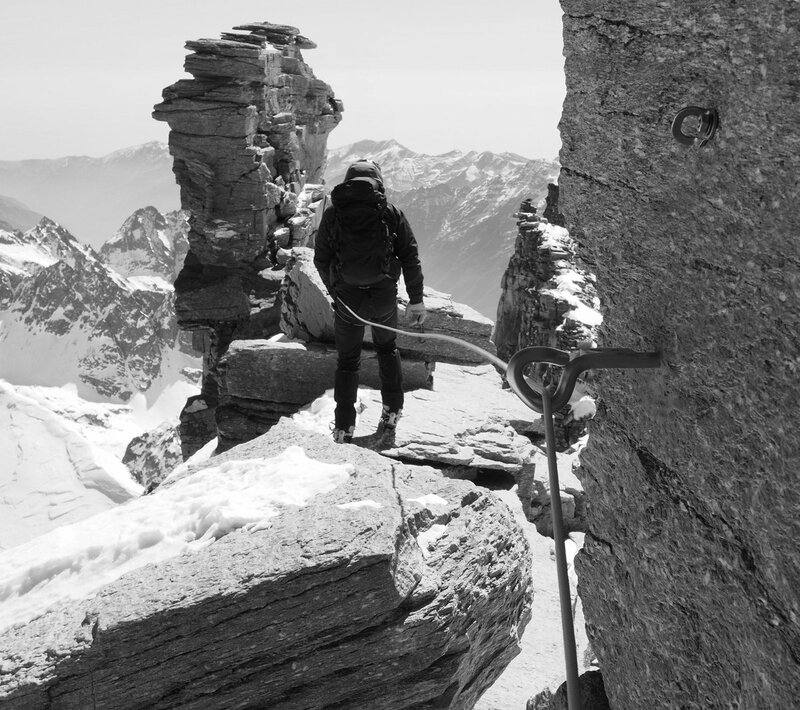 Chamonix is a world Mecca for high mountain rock climbing. 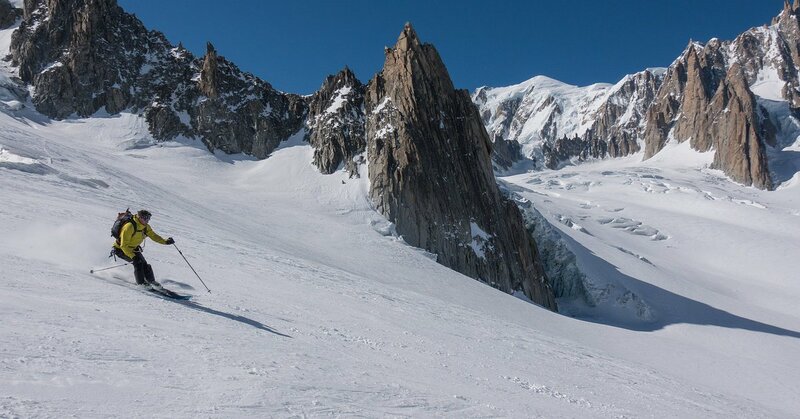 The Mont Blanc Massif is brimming full of perfect granite cliffs set in a stunning alpine & glacial environment. 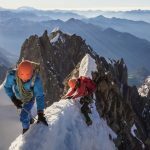 On the other side of the Chamonix Valley, the ‘Aiguilles Rouges’ provide some brilliant, sunny and easily accessible mountain rock climbing. 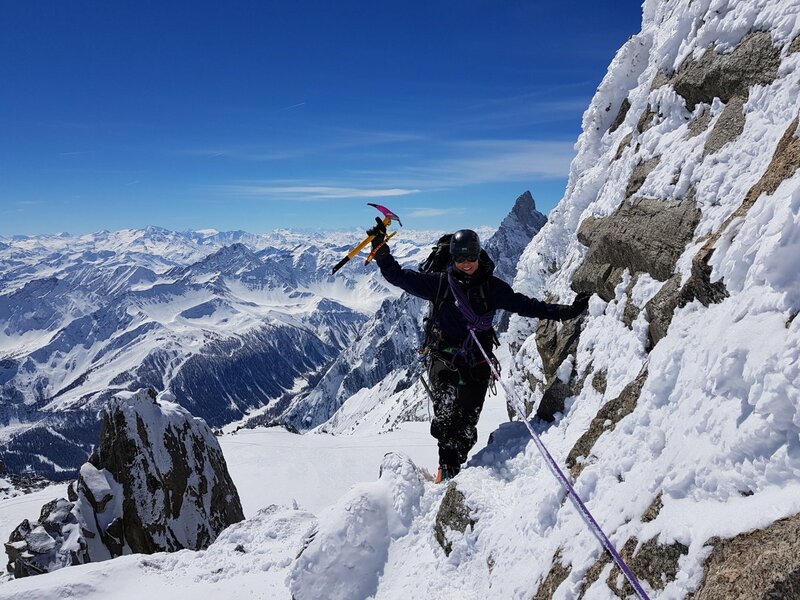 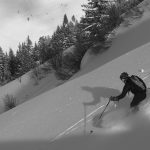 When combined with the option of climbing a classic rock route in Italy or Switzerland for the day, Chamonix becomes a fantastic base for mountain rock climbing and we warmly welcome you to join us and sample the quality ‘Alpine Rock’. 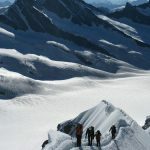 We offer Chamonix based alpine rock climbing courses from 1 day experiences to 6 day courses combining training and guiding. 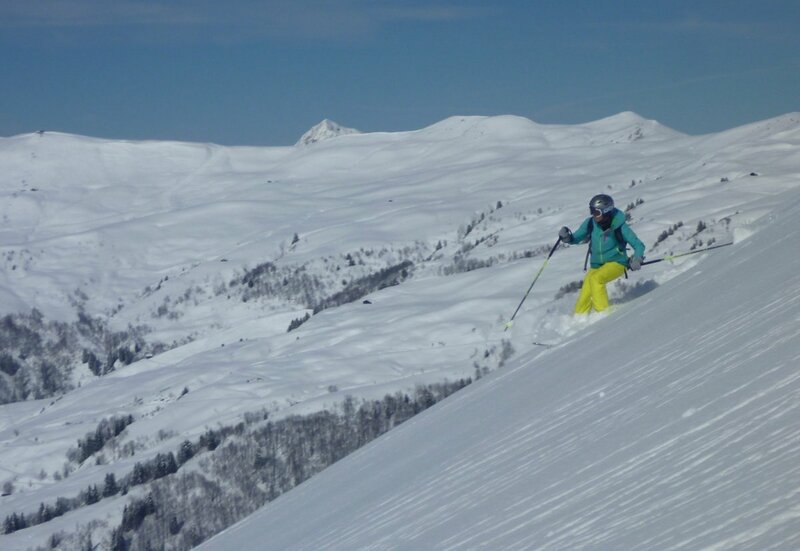 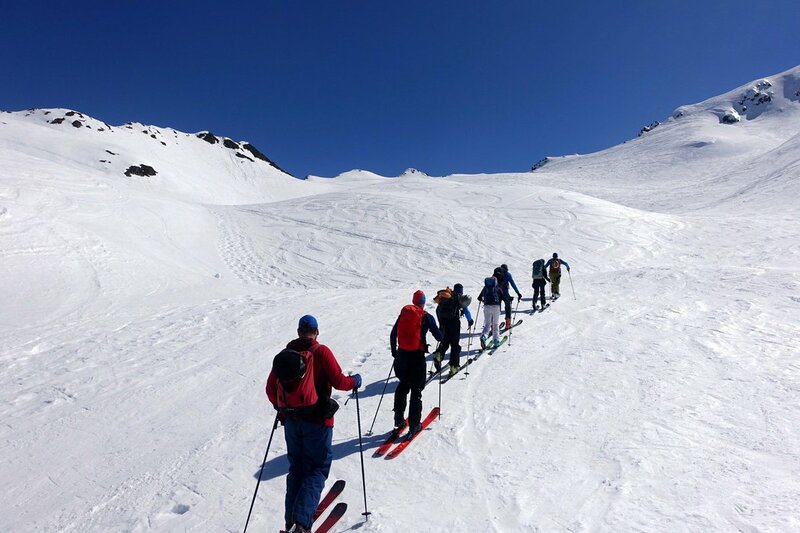 Contact us to arrange a private guide or check out dates for our 5 and 2 day courses below. 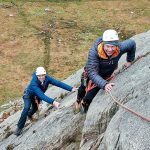 These courses are designed for folk who already have some outdoor rock climbing experience and want the challenge of climbing some longer routes in an inspiring mountain environment. 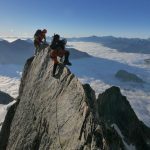 Check out the suggested 5 day alpine rock climbing itinerary below. 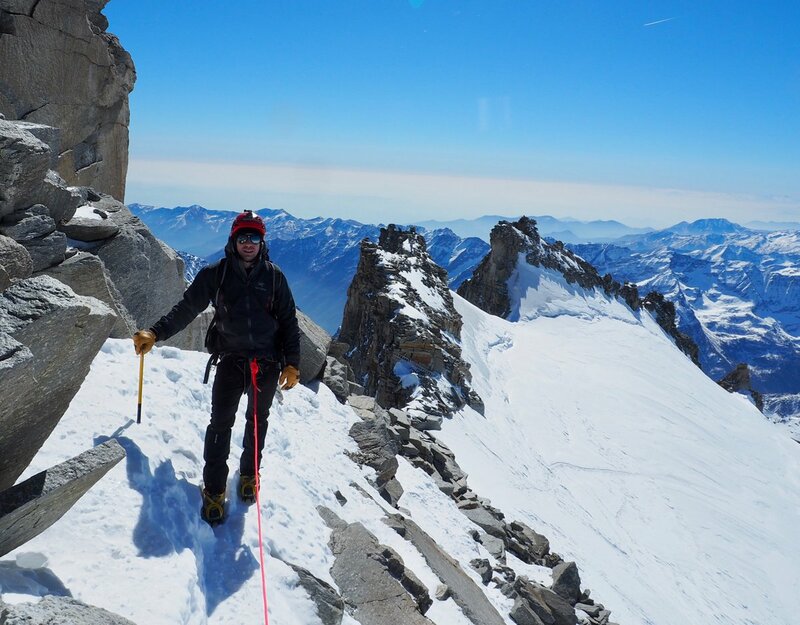 Those without any rock climbing experience already may want to take our Chamonix Intro Rock course to receive some more basic training and tackle easier routes. 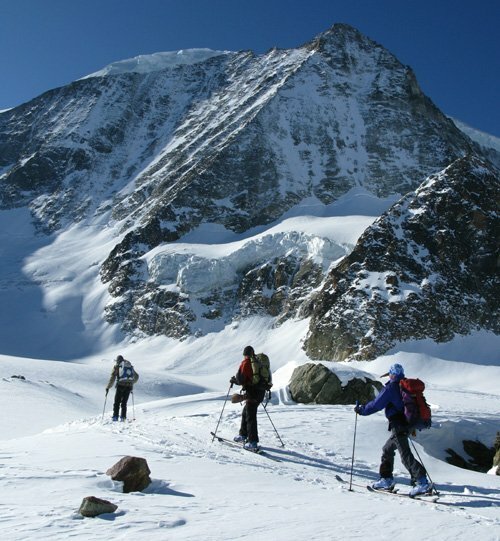 Alpine mountain skills, approaching a rock climb with a snow or glacial approach. 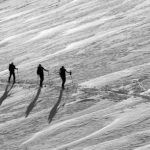 Use of ice-axe & crampons. 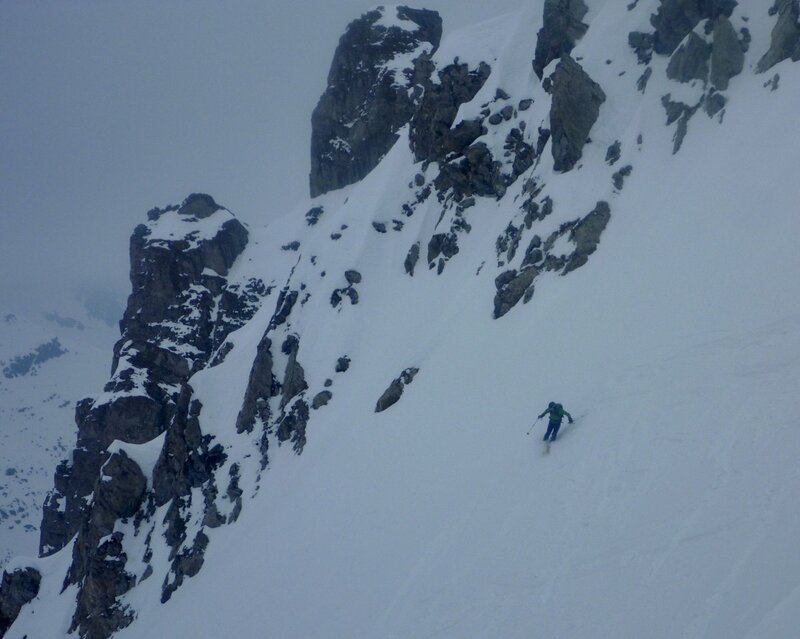 Day 1 – Multi-pitch rock climbing training in a high valley setting e.g Les Cheserys. 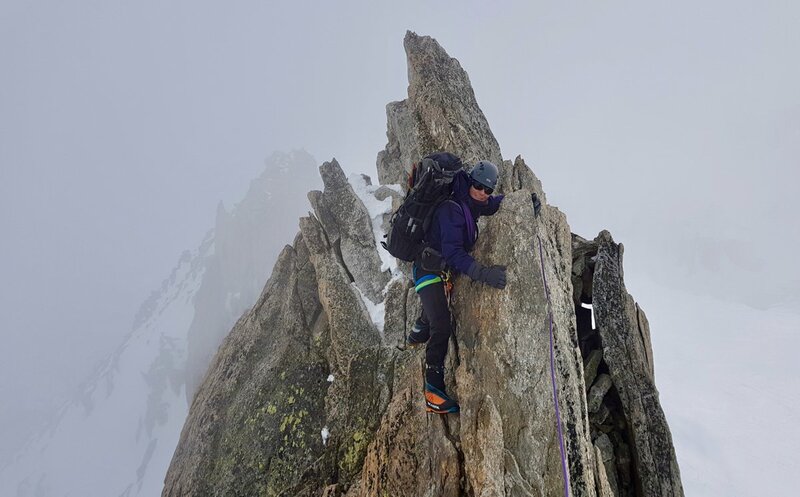 Lots of multi-pitch climbing at around F5a – F5c as a good warm up day with constant opportunity for training and refining of your multi-pitch rock climbing ropework. 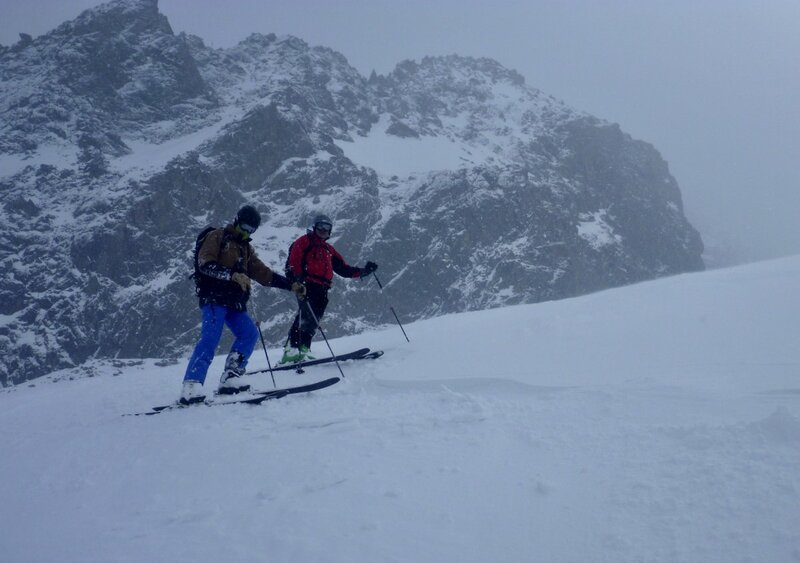 The aim is to start working as an alpine team & become fast and efficient for the long mountain routes later in the week. 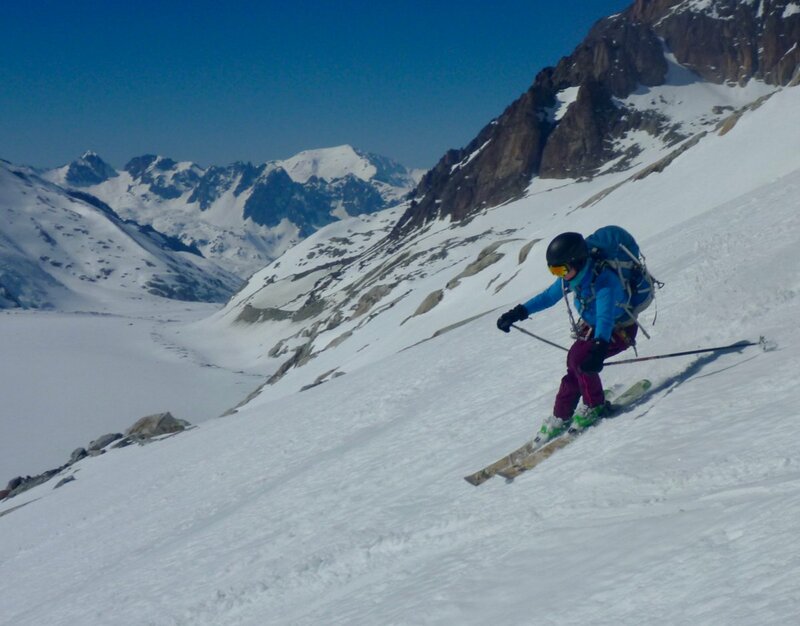 Day 3 – We aim to spend the final three days of the course climbing Chamonix Granite in the Mont Blanc massif. 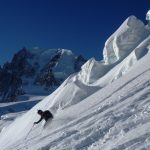 Today we take the Aiguille du Midi lift to the Plan de l’Aiguille and climb one of the brilliant granite mountain routes between 1 and 2 hours walk from the lift station e.g. 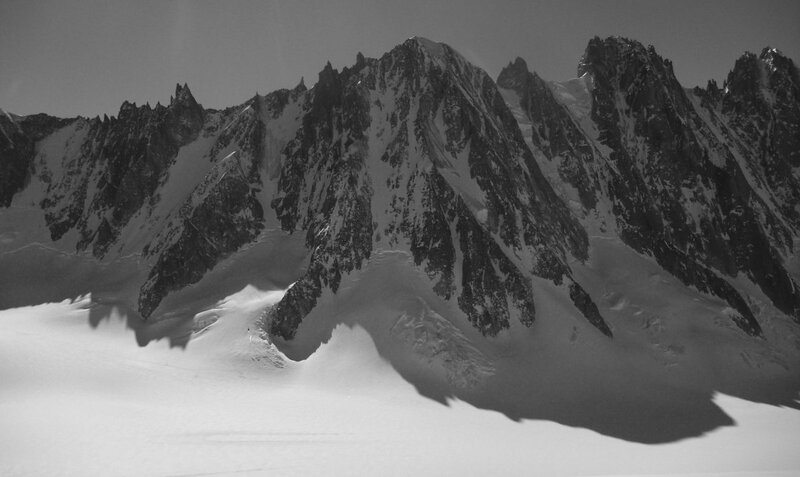 Papillons Arete, Les Lepidopteres, Les Minnettes, Couzy Route on the Aiguille de l’M. 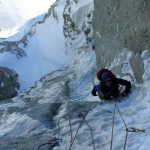 Rock climbing experience is required for this course as the intention is to make a rapid progression in to climbing in the high mountains. 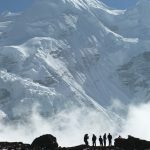 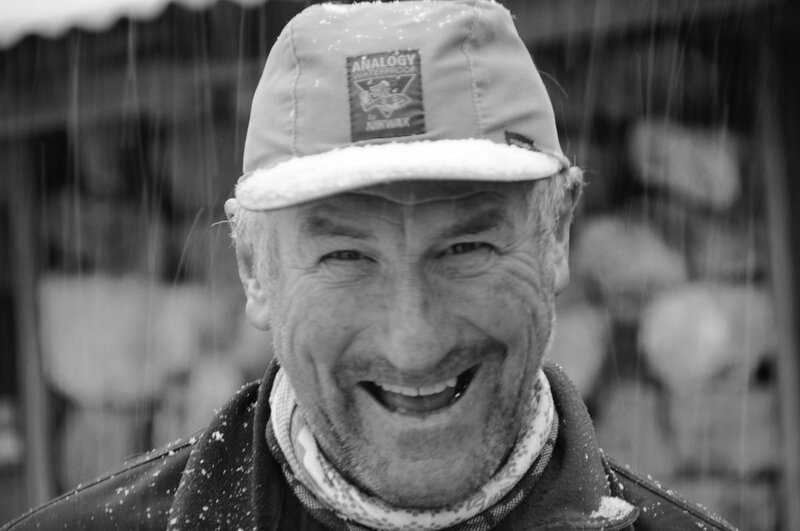 You will already be able to second climbs to at least F6a (UK HVS-E1 / U.S. 5.9 – 5.10 / UIAA V-VI); have done at least some abseiling before; have a good level of general and rock fitness and are keen and determined to rock climb and mountaineer in the mountains. 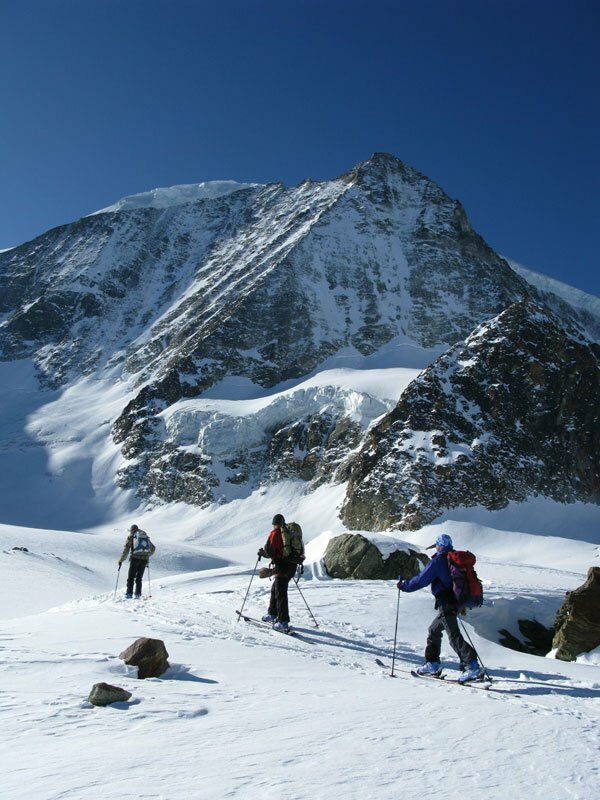 As this is a rock climbing course that takes place in an alpine mountaineering environment you will need all the rock climbing equipment in the list below as well as all the relevant alpine mountaineering equipment. 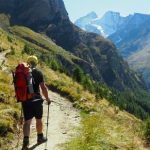 For alpine rock climbing make sure that you have comfortable rock shoes which you can wear all day with a pair of socks.